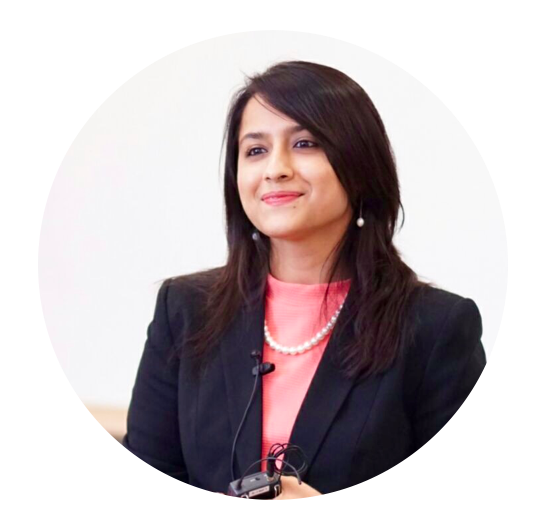 In this blog post, I share my journey of learning something new every day since I was a child growing up in India, to today with the EU Consumer MBA Program at Amazon Germany. One of the most vivid memories I have from my childhood is the summer of 1997. I was 7 years old and my family moved from the Thar Desert in Rajasthan to a tiny little town in western India named Deolali. I remember being overwhelmed by this new town that was surrounded by the lush green Sahyadri mountains compared to the barren and flat desert land where I spent the last 4 years of my life. Moreover, I was looking for companionship and friendship, which looked difficult. As it happened to be summer holidays for schools, all the children were out of town on vacation. Until one day, my father introduced me to our neighborhood library. This tiny 3-room library opened up an expansive world of possibilities for me. My sister and I came here every single day of our summer holidays and stayed until the closing hours devouring stories from around the world. Every day I learned about new worlds and characters. I started slow. I began with the amazing story of Asterix, the tiny and clever Gaulic Viking. Then, I went on to fall in love with ‘the boy who lived’, Harry Potter and his thrilling adventures in the world of magic. I began dreaming about travelling the world when I read the children’s version of Jules Verne’s classic, ‘Around the World in 80 days’. In this library in a sleepy little town in India, I discovered a completely new and alive world that I was dying to explore. When I turned 15, I moved to the city of Mumbai to pursue higher studies. A buzzing city with a population of 20 million, Mumbai taught me something new every day as well. Again, this time it started slow. I began by learning how to cross highly chaotic and trafficked streets without any pedestrian lights. I graduated to taking the Mumbai local trains during rush hour. Mumbai’s local train network carries a staggering 8 million–equivalent to the population of Switzerland–every day, with each train compartment packed to 2.6 times to its capacity. Eventually, I discovered the kindest and darkest faces of humanity during the Mumbai floods in 2005 and the terrorist attacks in 2008 respectively. I saw people swimming through waist-high water to share food and water with complete strangers. I heard machine guns outside my bedroom window while I hid under my bed for safety. I grew up. Fortunately, I held on to my dream of discovering the world. Unfortunately, I could hardly afford to pay my rent, let alone travel the world. I was passionate that learning can open doors. I decided to leverage education to unlock my dream of travelling the world by pursuing an international MBA at the National University of Singapore. Studying with students from 30 different countries all around the world, I started learning how to embrace diverse cultures. I learned that languages could be different, traditions could vary, but kindness and friendship are universal values that bring people together. In 2016, I attended the MBA World Summit in Miami, an annual conference for the top 100 MBA students from around the world. It was here that I met Amazon Germany, and was delighted with the possibility of participating in the EU Consumer MBA internship program in the summer. My summer in Munich with Amazon was unforgettable. Instantly, I fell in love with the dynamic and innovative environment. I learned how to perform big data dive deeps and work backwards from the customer. Not to forget, I learned how to embrace the beer garden culture and Alpine hiking typical of Bavarian summers. At the end of the internship, I was offered the opportunity to come back and join Amazon’s EU MBA program. I happily accepted the offer and was back in 2017. In my first rotation as the Senior Product Manager for the EU Dash program, I learned how connected devices and IoT revolutionize shopping to deliver unparalleled convenience to customers. I learned how to develop an innovation program from bottom-up while managing operations in 5 European countries. In my second rotation as the Senior Marketing Manager for the Prime Video Digital Store, I am learning how to leverage pioneering technologies to create a service that offers customers an unmatched collection of TV shows and movies—all with the ease of finding, what they love to watch in one place. In the Amazon EU Consumer MBA community, I am learning how to lead with authenticity through the numerous ‘Lunch and Learn’ sessions with EU business leaders. Along with a supportive community of MBAs from all around the world, I am learning about Amazon’s diverse businesses, opportunities and challenges. As a member of the Women@Amazon affinity group, I am discovering how to maximize my potential as a woman in business. As a resident of Munich, I am learning a little bit of the dauntingly complex German language every day. I am embracing the Bavarian lifestyle by wearing a Dirndl and dancing to Schlagermusik at Volksfests. Living in Europe has given me the opportunity to fulfill my childhood dream of travelling the world. In the last 3 years, I have travelled to 30 countries, and am constantly planning my next trip. I am still amazed that I am actually witnessing the world that I only read about in books in the aisles of a tiny library in a sleepy little Indian town.